St. Mary’s is the Catholic School that serves the parish. It is situated on Llangewydd Road. 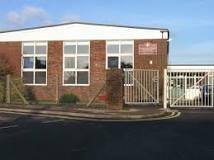 The school currently has approximately 240 pupils on roll and it provides a high quality education for its pupils which is rooted in the Gospel values. The school’s most recent inspection took place in June 2016. St. Mary’s ESTYN inspection report highlights excellent and sector leading practice in the area of cognitive development and thinking skills in particular, through the use of Building Learning Power principles. The school has been asked to produce a case study for publication on this excellent work. We are very grateful for the tireless work and dedication of our teachers. Please keep the whole school community in your prayers. Thank you. Our school has developed a strong academic tradition where each child is encouraged to take responsibility for their own learning in an environment that values knowledge and scholarship. We strive for the development of the whole person integrating spiritual development, academic success, cultural awareness and sporting participation in the context of the Catholic tradition. The school community is based on family. 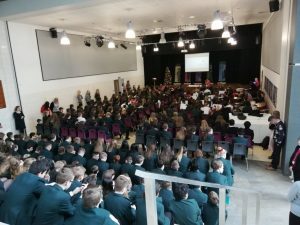 This extended family of students, teachers, parents past pupils throughout the county, forms a community that is wholeheartedly committed to the Christian education of young men and women. We encourage our students to pursue the truth, to discern a meaning and purpose for their existence and to enrich their spiritual lives. Respect, truth, freedom, justice, love and service are the guiding principles of all relationships and social activities. Our students are actively encouraged to develop an awareness of and empathy with people in the wider community, in particular through community service programs.